TMS has won a prestigious Angel Award from Historic England for its work in sympathetically restoring South Quay in Hayle, Cornwall, to its former glory. 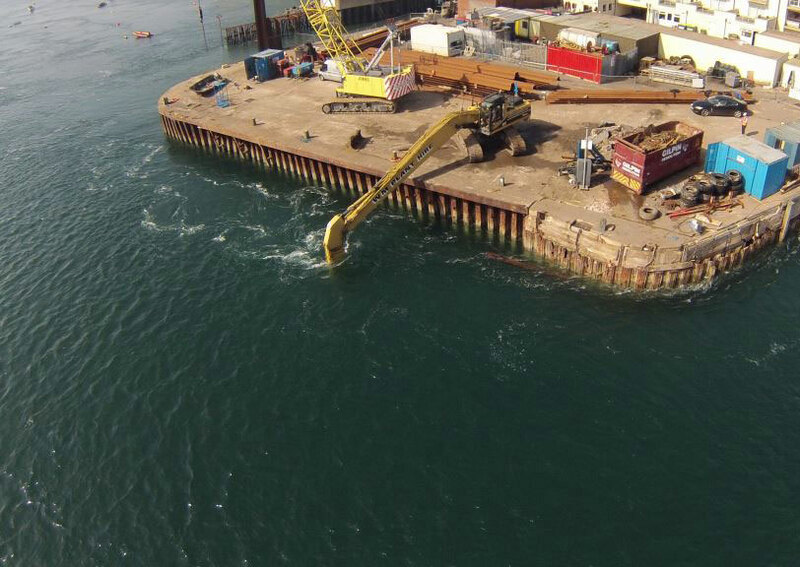 TMS are starting work near Dover to replace existing timber groynes that are at the end of their working life. 16 new timber groynes will be installed, each over 50m long and comprised of approximately 24 timber piles with horizontal planking between. The lower sections of the groynes will also have sheet piling driven to help further prevent longshore drift. All piling works will be completed using one of our 35t Movax side-grip pile drivers. The work is within and below the intertidal zone; work will therefore be during daylight and night-time hours, tide dependent.